Privy mark (left) of drs. Chr. van Draanen and mint mark on a Dutch coin. 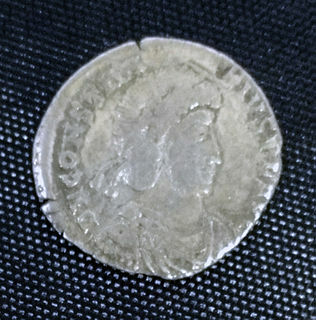 A privy mark was originally a small mark or differentiation in the design of a coin for the purpose of identifying the mint, moneyer, some other aspect of the coin's origin, or to prevent counterfeiting. One of the first instances of a privy mark used as a counterfeit measure was during the 17th century in a plan proposed by Sir Edward Ford (soldier) to mint farthings, halfpence and three-farthings. 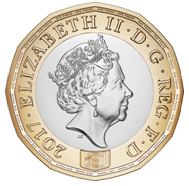 In modern times, the privy mark is used as a design and marketing feature to commemorate a special event or signify that the coin is part of a set. It is still sometimes used to signify the location or origin of where the coin was minted, but is then usually referred to as a mint mark. Some privy marked coins – such as the Canadian Silver Privy Marked Maple Leaf – may sell at a premium. Wikimedia Commons has media related to Privy marks. Coin debasement is the act of decreasing the amount of precious metal in a coin, while continuing to circulate it at face value. This was frequently done by governments in order to inflate the amount of currency in circulation; typically, some of the precious metal was replaced by a cheaper metal when the coin was minted. But when done by an individual, precious metal was physically removed from the coin, which could then be passed on at the original face value, leaving the debaser with a profit. Coin debasement was effected by several methods, including clipping and sweating. The Jefferson nickel has been the five-cent coin struck by the United States Mint since 1938, when it replaced the Buffalo nickel. From 1938 until 2004, the copper-nickel coin's obverse featured a profile depiction of founding father and third U.S. President Thomas Jefferson by artist Felix Schlag; the obverse design used in 2005 was also in profile, though by Joe Fitzgerald. Since 2006 Jefferson's portrayal, newly designed by Jamie Franki, faces forward. 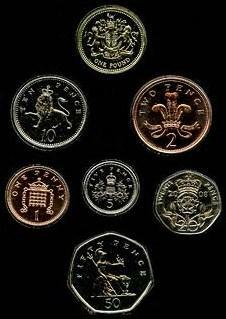 The coin's reverse is still the Schlag original, although in 2004 and 2005 the piece bore commemorative designs.